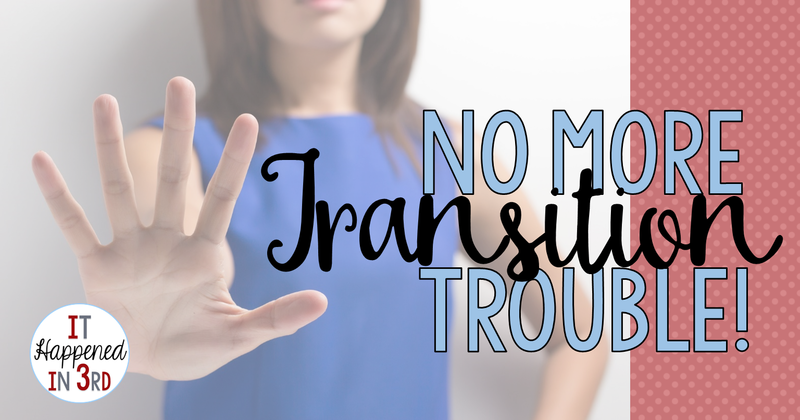 Top 3 Classroom Transition Problems and How to Fix Them! Transitions, transitions, transitions. As teachers, we spend hours thinking about how to manage these 3-5 minute blocks of time. Without getting too dramatic, it sometimes seems that a smooth transition from one activity to another can be the difference between a perfect-let-me-post-about-it-on-Instagram day and COMPLETE AND UTTER PANDEMONIUM. Why are transitions so incredibly important? I don't know about you, but with assemblies, club meetings, field trips, book fairs, holiday stores, and school performances, I need all the teaching time I can get! If, for example, you have 6 transitions per day, and each transition takes about 5 minutes longer than it should...you've lost 30 minutes of your day. That's a whole grammar lesson right there, friends! Also, poor transitions breed behavior issues. Your drama llamas come out in full force during transition time, with their chorus of Tommy put his paper on top of my paper but I was there first so my paper should be on top and Martha takes too long to put the task cards back in the container, etc, etc, etc. Ain't nobody got time for dat...we have learning to do! 1. Is it a pacing problem? It's hard to remember that our young friends have next to no concept of time. To a 6-year-old, "You have 5 minutes to clean up" is equally as incomprehensible as "Unicorn triangles have bicycles." Unless you are very explicit about what 5 minutes is, they aren't going to get it. Don't believe me? Have your students raise one of their hands, and tell them to put it down when they think a minute has passed. They will either wildly overestimate or underestimate how much time it is. Still don't believe me? Raise YOUR hand if you've ever had a child ask you if it's time for lunch...at 8:15. Time is a hard skill to master! Therefore, if you want your students to use time cues during transitions, you have to show them a) how much time they have and b) what to do with that time. Something that works well is an advance warning. If it's time to switch centers you might ring a bell and say, "In one minute we will move to the next center. 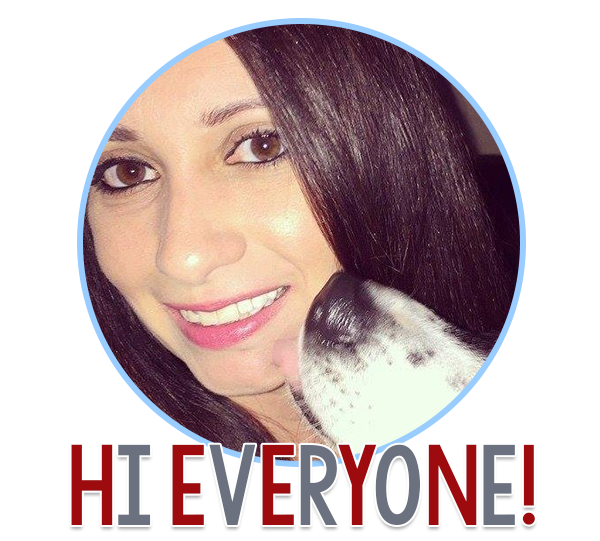 Now is the time to finish up what you are writing and start cleaning up your area." Then, set a visual timer (your Promethean or Smart Board is great for this if you have one) and after the minute is up ring the bell again. Address the class: "It is now time to get ready to move to the next center. If your area is clean and you are ready to move, stand up. When I say 'go' you may walk directly to the next center. You should be there before the timer is up"
Remember, ringing a bell and setting a timer does not a successful transition make! You need to model and practice this many times before your students are going to do it the way you want. Pretend to be a student and model the whole process, from cleaning up the first center to walking to the next center and sitting down. Have them practice just the transition until they have it down. Do you have a competitive group? Set a goal time and try to beat that time every day. Make it clear that they have to follow the procedures exactly in order for their time to count. Do you have a musical bunch? Play a song and make it the goal to have transitioned before the song is finished. 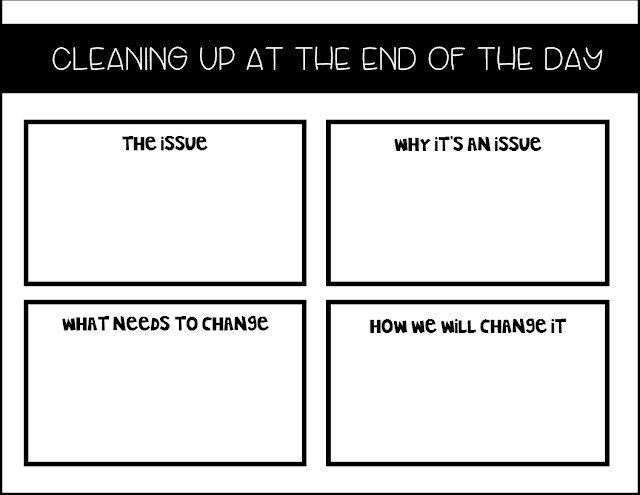 Think about what fits the needs of your students and use it! 2. Is it a problem with understanding procedures? We've all been there. You give directions that make sense in your head, but you're staring out at a sea of students who have the dog-head-tilt thing going on. Then they get up and proceed to do exactly NOTHING that you just said. As tempting as it is to blame it on kids-these-days-they-don't-listen-to-ANYTHING, sometimes you need to step back and ask yourself, "Did I really explain this as clearly as possible?" If I'm being honest, if I ask myself that question, about 85% of the time, the answer is "no." The other 15%? Full moons, of course. If you want your students to follow procedures, whether they are 5 or 15, details are your friend. Leave no room for error! I teach high achieving 3rd and 4th graders, and you better believe we spent 15 minutes every day during the first week of school going over how to line up for lunch...and I don't regret one minute of it. In addition to speaking explicitly, you are going to want your students to role play the right/wrong way to do things...lots of times. If your kids usually do well with transitions but are slipping up a bit (upcoming holidays can do it), take a few moments to practice and role play again. Have a group conversation about what's working and what they need to work on. 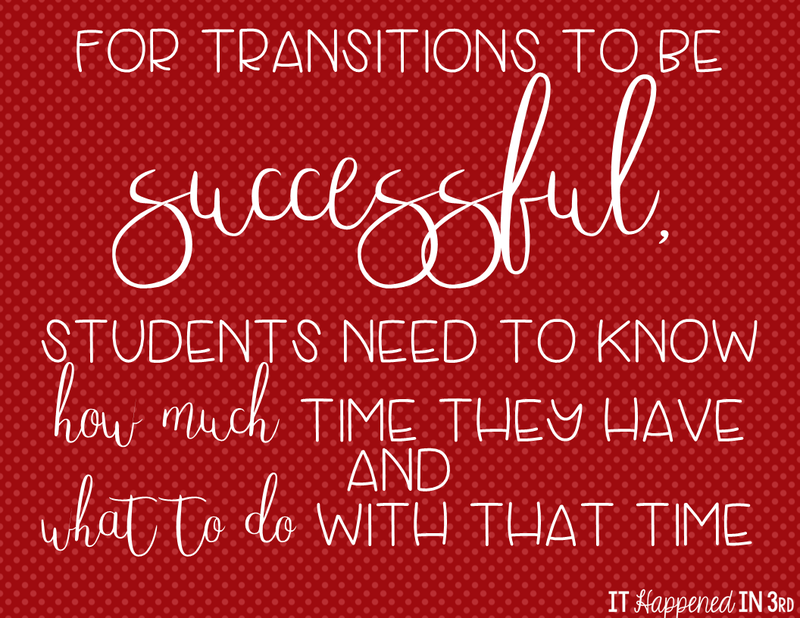 For your transitions to be successful, your students need to take ownership of them, and you need to help them do that by being as detailed as possible about what you want! 3. Have you planned your room layout with transitions in mind? Among all the other things you need to think about when setting up your room, you need to consider the flow of student traffic, especially when it comes to transition time. 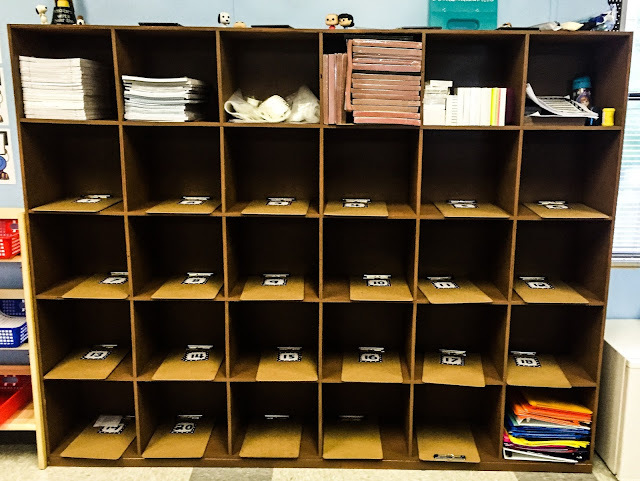 Do your students all have to go to the same area of the room to put their supplies away? Is there enough room for your line as they are exiting the room so that everyone has enough space? 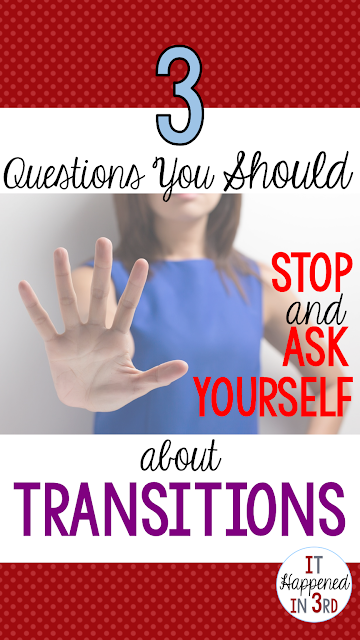 These are a few of the questions you might want to think about if your transitions are giving you trouble. There are times when everyone needs to go over there at the same time to get something. I knew that letting all my students head over there at the same time would be mass chaos, so I decided that they would go 6 at a time...top row first, then each row after. With this procedure, everyone can get what they need and be back in our meeting space in about 2 minutes. We repeat the same procedure when putting stuff back in the cubbies. If you are trying to improve your classroom transitions, the most important thing you need is patience! It will not get better in a day. It may take weeks, or (we've all had that class) months! 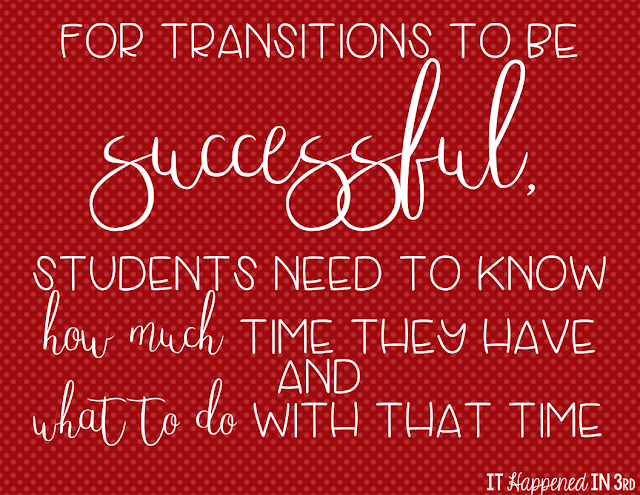 Stay consistent and keep trying and your students will be eventually be transition masters. 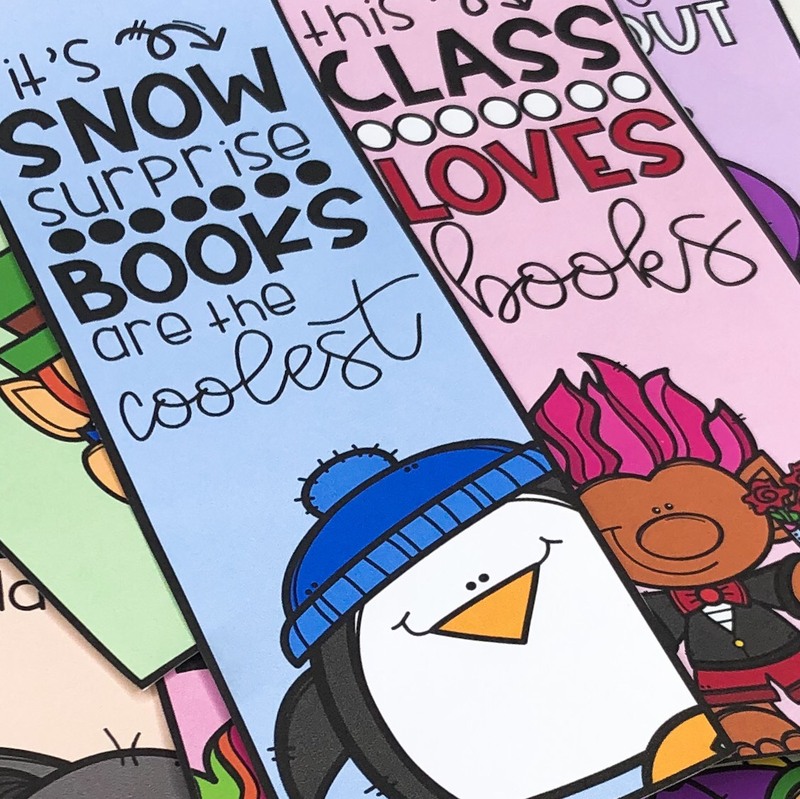 What is your go-to tip for smooth classroom transitions? Some of us were just talking about this exact issue today so it's definitely relevant. Love your new blog design - looks great! I love the cubbies in your room. My kids had lockers out in the hall, so it took forever to go to the locker and come back.